Wireless Bluetooth Speaker Just $9.99! Down From $50! You are here: Home / Great Deals / Amazon Deals / Wireless Bluetooth Speaker Just $9.99! Down From $50! Don’t miss this amazing deal from Amazon! Get this Spigen R12S Wireless Bluetooth Speaker for just $9.99, down from $49.99 PLUS FREE shipping for Amazon Prime or orders $25 or more! Experience the art of engineering and premium quality with the Spigen R12S Wireless Bluetooth Speaker! It is compact and portable – pair and play it everywhere you go. It also has a click to talk and play feature: just press the button at the edge and enjoy an impressive crystal clear sound quality realized through a 5W noise-isolating system. Plus, it is compatible with all Bluetooth-enabled devices! 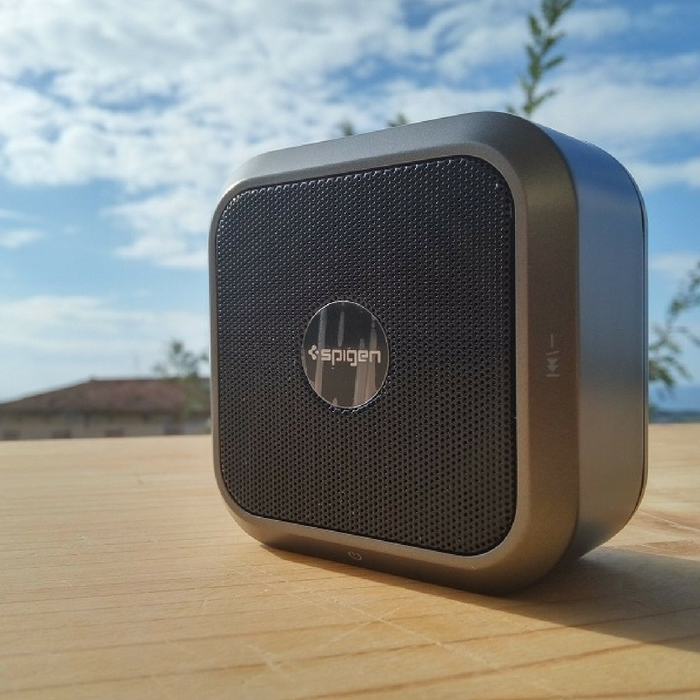 Wireless Bluetooth Speaker for all uses: Advanced Bluetooth 4.1 technology with an exclusive portable design. Premium High Definition Sound: Enjoy an impressive crystal clear sound quality realized through a 5W noise-isolating system. Equipped with a built-in microphone for hands-free calling while simultaneously listening to music. Compatible with all Bluetooth-enabled devices – phones (iPhone X/8/ 8 Plus, Galaxy, Google Pixel), tablets, PC, and laptops. Equipped with a 3.5mm audio jack for a non-Bluetooth device and a mini-SD slot for more capacity.